Korea Tour Package: Busan City Tour – Opt for the Korea Ski Tour Soon After It! Busan City Tour – Opt for the Korea Ski Tour Soon After It! It’s your Busan City tour they may remain incomplete if you have miss the chance to visit some of the most attractive locations here. There are a few good spots in this city that you must visit while opting for Busan city. Among all these places, the Taejongdae is considered as the best place. This is a national park as well. At this place, you will be amazed to watch those high cliffs that use to face towards the open sea. Due to this reason such place offers travelers a good sight of some of the most fascinating natural sceneries. It’s the Yeongdo-gu Island where you can have the opportunity to watch such amazing site. This place was also used by the kings of Silla Dynasty to shoot the arrows. The next best place to visit while in Busan city is theHaeundae beach! This is an amazing beach and attracts most number of visitors coming to Busan city. From the early of July to the end of August, this place remains as a perfect place to visit for the travelers. And when you are in Korea, how you can miss your chance to go for the Korea Ski tour? During the winter time, the ski resorts in this country become more live. These ski resorts are the places where you can find right kind of snow, landscape and environment that are proper for skiing like activity. Most of these ski resorts of Korea are spreading along the Gangwon-Do. And there is always a reason behind it. 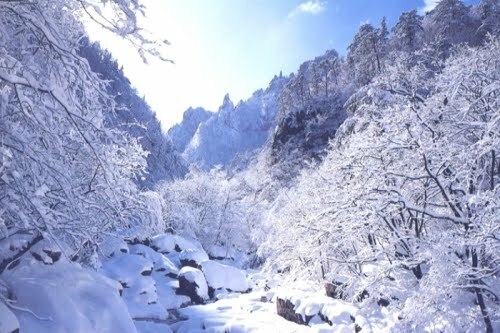 Gangwon-Do is the Korean region that uses to receive maximum snow fall during the winter time. Well, this place may be located out of Seoul but you can always expect to get all the facilities and amenities that are needed for any traveler. So, when you are here during the winter time, move for any ski resort to join the Korea ski tour and you can get the best enjoyment while hitting the snow covered slopes. There are also several ski courses offered at these ski resorts along with the modern facilities and equipments that can keep the ski enthusiasts safe during such activity. At the outskirts of capital city Seoul, you can also find some resorts that can offer you a quick access to take part in ski like activity. Well, most of these ski resorts are large. They also offer such facilities that can make your leisure time a more memorable one. But never forget to add the ski tour in Korea soon after you went for the Busan city tour.